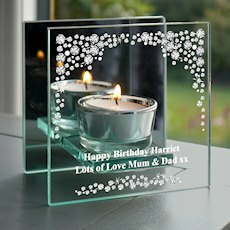 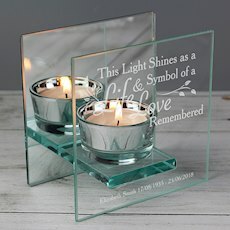 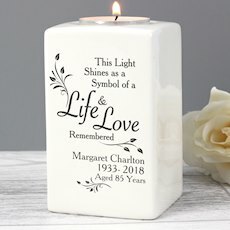 Personalise this Life & Love Candle Holder with up to 2 lines of 25 characters and a further line of 15 characters. I wanted something to store a small amount of ashes and all the products for this were very expensive. 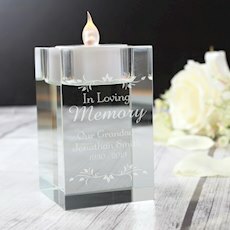 The candle holder itself is beautiful and hollow on the inside. 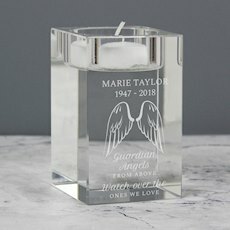 I was able to store the ashes inside the candle and seal the hole in the bottom, to keep them safe.